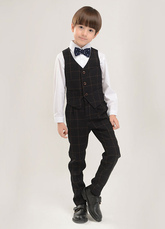 If you want to buy 2019 new boy suits or baby boy suits in a cheap price, go to Milanoo.com and you will find boy formal clothes in different styles as ring bearer outfits, boy formal tuxedos, children ceremony clothes and boy wedding clothes in good quality. My baby looked sooo cute in this-it's perfect b/c it's not too fussy or uncomfortable. This was an adorable outfit. 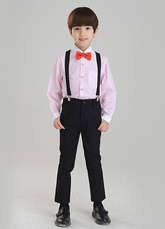 My son wears the clothing right now and this outfit was perfect. I read the size chart and chose the correct one. Seriously the cutest outfit for the price. Highly recommend. This is a well made suit. 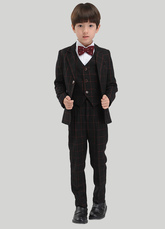 My son loves it and it is a good price for a suit that fits him well. 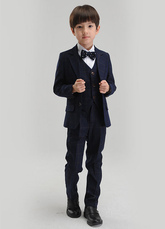 Good quality suit for the price and I received it very fast.